This is not a fictional tale nor a history book, nor does it havestrictly speakinga main character, as there were countless men and women involved in the events that took place in Madrid in 1808. Heroes and cowards, victims and executioners, history kept the names of most of them. The people, places, and events recounted here are real, as are much of the words that are spoken. In this book, Arturo Pérez-Reverte transforms the obscure and individual stories recorded in books and archives into a collective account. The author's imagination is therefore reduced to the mortar that joins the narratives. By making use of the most basic liberties that a novel allows, these pages bring to life the individuals who, for over two hundred years, have either remained anonymous or lived only in brief accounts of official papers. 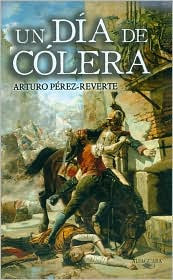 Arturo Pérez-Reverte (Cartagena, Spain, 1951) is considered the most read author of Spain, whose 2,000,000 copies sold place him as one of the best and most read international novelists. His works have been translated to 23 languages, and four of his novels have been adapted to cinema. In February 2003, he was inducted into the prestigious Real Academia Española by a majority vote. He is the author, among others, of: El maestro de esgrima, La tabla de Flandes, El club Dumas, Territorio Comanche, La sombra del águila, La piel del tambor, La carta esférica, La Reina del Sur, El húsar, Cabo Trafalgar, and El pintor de batallas; and also of the historic series Las aventuras del capitán Alatriste, which was made into a major motion picture starting Viggo Mortensen.